Let’s be honest, flying to India isn’t going to be cheap, especially from the United Kingdom. But if you want a cheap holiday then you will need to get cheap tickets to India. The trick is to book your trip as soon as you possibly can. Generally speaking, the earlier you book, the cheaper the flight is going to end up being. Of course, there are still many other ways to get cheap tickets to India from the UK, and in this article I want to highlight some of the best possible websites and tricks to get cheap tickets to India. Let’s see what we have? This website is right at the top of the list, although it does contradict what I said earlier about booking as early as you possibly can. Here, quite often, those that book very late can end up netting themselves a hotel and a flight for a price that is far cheaper than the flight would cost on its own, which is rather nifty. This is the ideal website for those that are literally leaving it to the last minute to book. However, I wouldn’t take the risk. You can try and book early, but quite often the prices are fairly expensive. It is all in the name here. This is probably one of my favorite websites for searching for cheap flights when I want to travel somewhere other than Europe. There is a lot on offer here, and all of the main carriers are represented. Do bear in mind though that quite often the prices are going to be a couple of pounds higher than if you went directly to the airline. So do check this out (it isn’t always going to be the case, and it won’t be much, but hey, every penny counts right?). Travel agents and airlines are represented here. One of the best features of this site is the ability to select flexible dates, and option which isn’t immediately apparent in the other sites on this list. Flexible rates often increase the chance you will end up with very cheap flights to India. This site is perfect for those who are going to be heading from the UK to India with more than one person in tow. This is because right off the bat you are able to select how many people will be travelling with you. In my experience, this tends to be buried rather deeply within the CheapFlights.co.uk, which can be a little bit tricky. Both of them search exactly the same airlines and travel agents for cheap flights, so just go with whatever one you like the feel of. There are lots of airports in the United Kingdom, and as you know, flying from each of the airports will have a different price attached to it. For instance flying from Bristol airport is going to be slightly more expensive than from Heathrow. Now, on most websites you will need to carry out a search for each of the different airports separately, but not with TravelSupermarket.com. Here you can search for multiple airports all at the same time (of your choice) ensuring that you get the best possible deal. This is a good website for buying cheap tickets to India. In fact, they specialise in holidays and tickets to India. As their name suggests, their office is based in Southall (West London) known for its large Punjabi population. One good thing about this site is that you can speak to an agent and they will book your tickets to any destination and you can even choose a different airport to fly back to the UK. I had a chat with some of my relatives and friends in the UK; this one seems to be their preferred site for buying tickets to India – perhaps because many of the travel agents on the phone are Indians who can speak in their language. Expedia UK, operated by Expedia is one of the world’s largest travel website. According to their site, they offer good cheap flights to India on several different airline carriers going to many popular destinations in India. I did a quick search and I found that they do have good offers; although the results that I got was slightly more than what I had expected. However, just phone them up and tell them that you are getting cheaper tickets to India elsewhere and they might offer you better prices. Of course, there is a plethora of websites out there offering fantastic prices on travel, but in my opinion, these are some of the best to choose from. So why not start looking at these ones? I am sure you will be able to find cheap tickets to India from the UK rather quickly! Also don’t forget to go to your local travel agent; you never know they might have a good offer for you. It’s all about shopping around. There are numerous travel agents in London, Birmingham and Leicester – cities with sizable Indian population that offer tickets to India. Cheap tickets to India: Most flights to India will serve Indian food. Whilst global flight tickets have dropped down drastically in price over the past couple of years, you have to be honest; some of them are still incredibly expensive. I want to take a little look at how you will be able to secure yourself the best prices on airfares. Please bear in mind that this is a general guide, and if you are travelling to certain countries then you may have slightly more options available to you (air passes and the like which allow cheap travel throughout the same country). Firstly, buy your tickets early! This is particularly important if you are planning to head away during peak times. Quite often, the prices are released incredibly cheap with the prices slowly creeping up. The peak time for high prices tends to be around two weeks before the date of travel. My suggestion is to book at least six months in advance. If you have your children’s school holidays or half terms coming up and buying tickets early might be a good idea. It’s during these times, that prices go up. So buy tickets early. Is this contradictory? Well, most airlines don’t want to leave with empty planes. Which means if you book a couple of days before you could save a considerable amount of money. Now, this is not something for people who love plans. When you book last minute you are going to need to be flexible about where you are travelling to, and even when you leave. This is a fantastic way to save money though, and there are plenty of websites out there dedicated to it. Always shop around for the best airfares! Different carriers will offer different prices. In fact, you may find that it is considerably cheaper to travel from one airport over another. Use as many of the travel comparison search engines as you possibly can. You will be surprised at just how much money you can save. Don’t forget to go direct to the airlines too; often this will shave a bit off the price as they won’t be needing to pay out commissions to the search engines. You need to be flexible! This means being able to travel from multiple airports, or even be able to play about with your dates. In fact, travelling a couple of days before may be able to shave a couple of hundred pounds off your travel price! My suggestion is to head out on Saturdays, Wednesdays, or Tuesdays. The prices are generally cheaper then. In addition, try to avoid the peak season of the place you are travelling to if possible. For India, this is usually when the temperatures are cooler from the month of November to February. Many people don’t do this, and thus fail to realise that the best possible prices can often be found on these websites. You will be surprised at just how much you will be able to save on the price of your holiday. Sometimes that has good offers. For instance, KML sometimes have good offers literally at throw away prices of around £250 for return tickets to India. Although the tickets will be cheap they will fixed prices which means that you only fly and come back on fixed dates. Another point to remember with KLM is that they land in Delhi late at night; perhaps this may not be a good idea if you are travelling to India alone. By the time you get out of Delhi’s Indira Gandhi International Airport, it will be around 1am. Perhaps that is why they are able to offer cheap tickets to India. Nonetheless, it’s worth checking all the individual airlines such as British Airways, Indian Airlines, Emirates, Air France, Virgin Atlantic, Jet Airways, Etihad Airways, Qatar Airways and so on. However this can take a lot of your time. But if you start planning ahead then you get really get cheap tickets to India. Consider stopovers and connecting flights! Flights to India take about 9 hours from most airports in the UK. If you have small children flying with you then it makes sense to consider flying directly to India. However if you no children then you could consider taking a connecting flight that will reduce the price of your tickets to India significantly. Some good stopovers are Amsterdam, Dubai and Abu Dhabi. Both these airports have good duty free shops which you can spend some of your time. Dubai airport has excellent restaurants serving Indian food. British citizens can also leave the airports of Amsterdam (part of European Union at least from now) and Dubai (visa upon arrival to the UAE airports). Great thing about stopovers is that this gives you the opportunity to experience other places as well. Another trick is to visit market places where there is high Indian population. These would be Southall (West London), Green Street in Newham (London), Solihull in Birmingham, Belgrave Road in Leicester and Cemetery Road in Bradford. Just go walking around some of the Asian stores picking up travel leaflets from the counter and phone the numbers around to see what they have on offer. Consider going for package deals. Not many holiday makers to India realise this – but package holidays can be good deals. If you try booking everything on your own then not only you end up paying more but at the same time consume a lot of your time. So why not buy a package holiday deal to India. However one of the major draw backs is that you have to do and go exactly as in the deal giving you less freedom to do what you want in India. Another word of caution is that you must buy these deals with popular dealers. Better still, buy last minute holidays! Some package holidays to India can be bought from Thomson Holidays, Thomas Cook, Virgin Holidays, Teletext Holidays and so on. Why not compare holiday prices using the price comparison site Travel Supermarket. When you type “cheap tickets to India” then you will be presented a list of websites both natural search engine results and paid ones as well. The ads are from sites that are using Google Adwords to be seen to customers looking for air tickets all depending on their locations. I have highlighted the ones you could try. 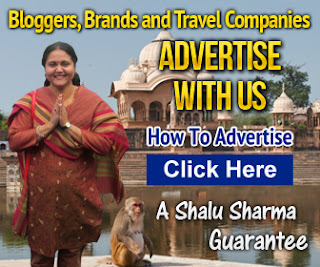 In this particular image, a website called eDreams seems to be advertising flights to India from £289. Ask the agents for cheap tickets. You can always ask the travel agents if you can have your tickets to India for cheaper. This work! When you phone them up, tell them that you are need tickets to India and when they give you the prices, just ask them if you can have them for cheaper. If they do lower the prices, well and good, if not then tell them you’ll be back. Fly to and from major airports. The four metros of India include Delhi, Mumbai, Kolkata (Calcutta) and Chennai (Madras). Flights are usually cheaper to the four older metros compared to other international airports in India such as newer metros such as Bangalore, Hyderabad, Pune, Jaipur or Ahmedabad. Similarly, flights to India from the UK are slightly cheaper from major international UK airports such as Heathrow and Gatwick. However you must weigh out travel costs to getting to the Heathrow and Gatwick. For example, additional coach and rails tickets might add up to the entire travel cost not to mention the time it takes to get to the airport. Don’t forget that if drive to these airports then you will need to park your car in long term parking close to Heathrow or Gatwick. 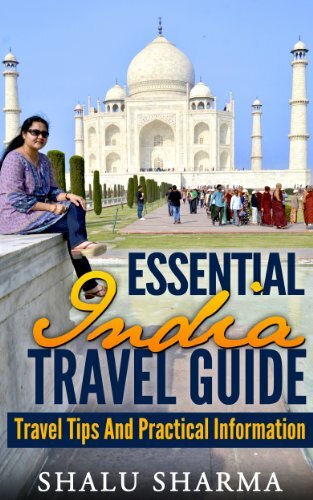 Of course, these are just a few hints on how you can save money on your flight tickets to India. I promise you though, if you put just a couple of these into practice, you will be able to save a lot of money and finding your cheapest tickets to India. If you have your own tricks on buying cheap air tickets to India from the UK, then feel free to share them here. Love this! But you should check out prices on Trip Advisor. I live by it and it does the same as sight like sky scanner and kayak pulling prices from everywhere but seems to be quite noticeable cheaper! Hey Great article, this will surely going to save my few bucks for the next flight. I wasn’t even aware of lastminute.com. Thanks for the info! I’m always on the hunt to get inexpensive flights when I plan a trip. I sometimes sign up for the alerts on the route I’m interested in (usually in skyscanner), this way if the prices dip, I will know. Nice informative article. 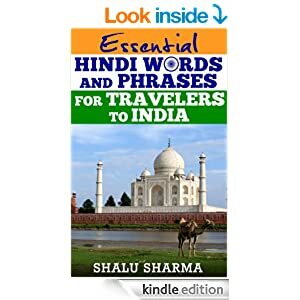 It would be great if you provide any info on how to save money while travelling from India to UK. Love your blog. 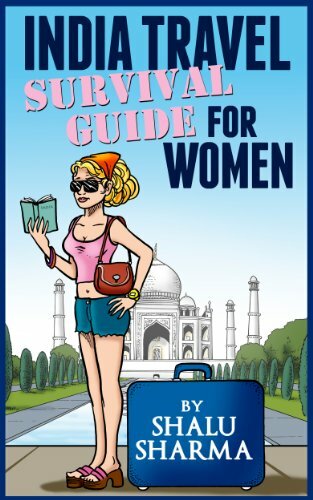 Nice guideline for the foreigners, wanted to visit India. India is a great place to visit.There are enormous things to do, to visit, to eat. I like it. Thanks for your guide. Really a great and timely post. Indian train journey is really nice. I have a very good experience about Indian train journey. The food quality is also good and there is ice machine which is useful for supplying cold drinks the passengers. Such a pleasant blog. Genuine rule for the nonnatives, needed to visit India. India is an awesome place to visit.There are colossal activities, to visit, to eat. I like it. A debt of gratitude is in order for your guide & indian food in birmingham.